$11,625.00 set of 4 List: $22,080.00, You Save: $10,455.00! Yamaha 6300 Intermediate Series Timpani are made with smooth copper bowls that create a rich, professional tone with plenty of dynamic power when you need it. These drums would be a wonderful addition to any high school or college program, and most people wouldn't be able to pick them out from models that cost thousands more. The Balanced Action Pedal System keeps the heads at a specific pitch without the need for locking clutches, allowing the player to rapidly tune without issues. The enhanced frame design allows the kettles to 'float' for maximum resonance, while protecting the bowls from being dented. 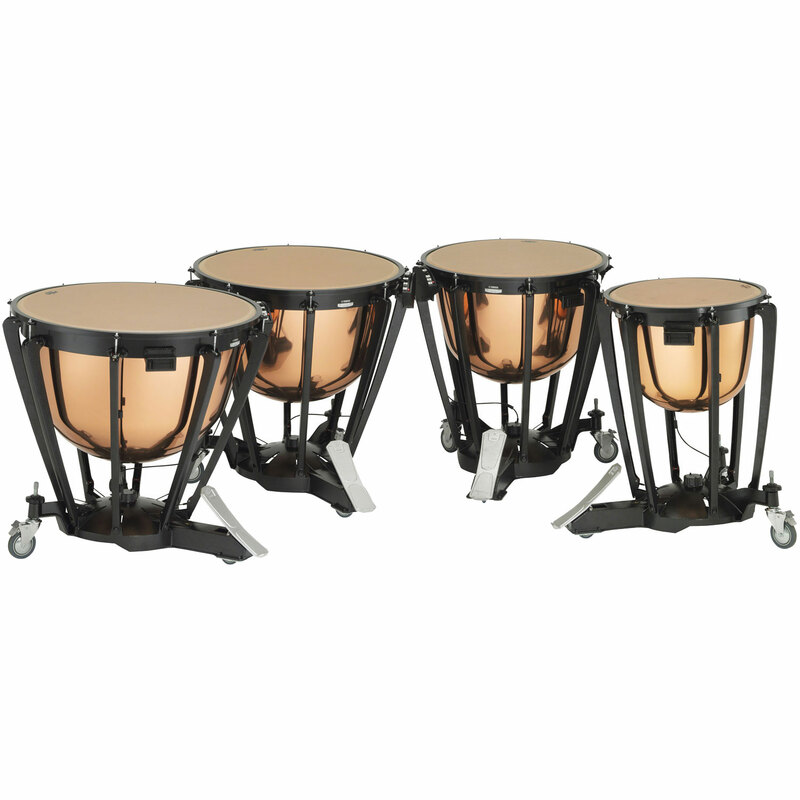 This full set of timpani is a necessity for bands and orchestras playing quality literature, covering a range from D2 - Ab3. These drums include long covers to protect them from curious hands when they're not being played.